20th Century Synth Box Vol. 1 Studio One Add-On for 30% Off! 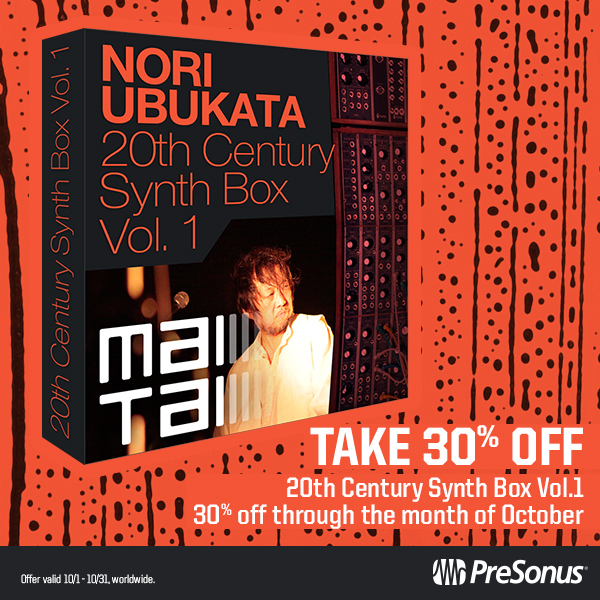 For the month of October, get the 20th Century Synth Box Vol. 1 for 30% off. Only available in the PreSonus Shop. Click here to purchase this add-on! Comments Off on 20th Century Synth Box Vol. 1 Studio One Add-On for 30% Off! Comments Off on It’s Almost Here. Are you Curious? Complete list of new features in Notion 6. Your copy of Notion 6 should auto-update next time you open it. Alternatively, you can find the download links in your My PreSonus account; simply log in and go to My Products>Software. H ot on the heels of the hit Studio 192 comes his scrappy little brother, the Studio 192 Mobile. If you’re a recordist or producer and need a grab-and-go solution for your tracking, the Studio 192 Mobile is equally at home set up on your desktop, packed in your messenger bag, or tracking in your bassist’s garage. Hook it up to a laptop with the included Studio One DAW, and you’ll have remote software control of the preamp levels on the 192 Mobile, eliminating the need to constantly get up from your seat and tweak while establishing levels. You’ll be capturing those levels in sterling 192 kHz, by the way, and you’ve got 2 XLR jacks and 2 Line inputs to do the capturing. That’s enough for a small band or multi-channel drums, but it’s expandable via additional hardware like the Digimax DP88—so you’ve got some room to grow. Add to that advanced monitoring capabilities, word clock, and S/PDIF, and you’ve got a powerhouse in a tiny package. Just think, you can get all that for a hundred bucks less than normal. Contact a local dealer or shop online for this no-hassle, no-paperwork instant rebate. Oh, and hurry—this USA-only opportunity ends on Oct. 31, 2016 because missing out on this deal would be terrifying. 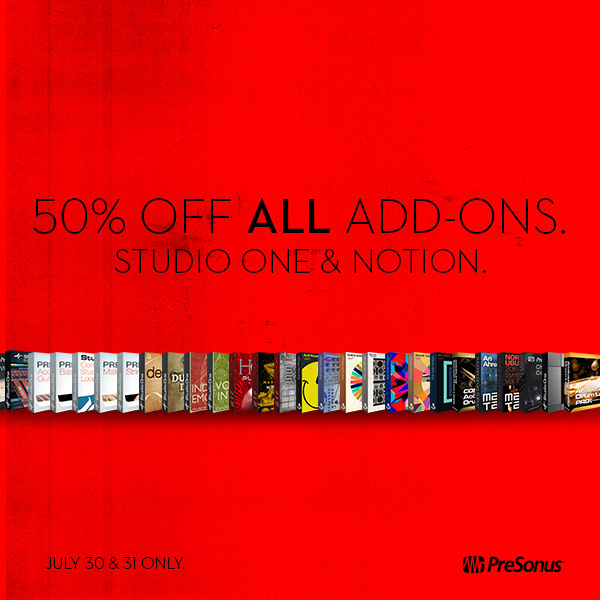 Christmas in July: 50% off ALL Add-Ons for Studio One and Notion weekend of July 30! There’s 148 more days until Christmas day and that’s too long to wait. So we decided to offer ALL Add-Ons for Studio One and Notion for 50% Off! This Weekend Only–July 30 – 31, 2016! The discounted Studio One Add-Ons include the Presence XT Editor, Channel Strip Collection, and the recently released Convology Vintage Reverb Library. Our friends at Studio One Expert recently posted their review of the Convology Vintage Reverb Library which you can read HERE. Long story short, it’s awesome. The discounted Notion expansion libraries, or bundles, include Guitar, Saxophone, Strings , Percussion, Woodwinds and more, all preformed by talented musicians from all over the globe! 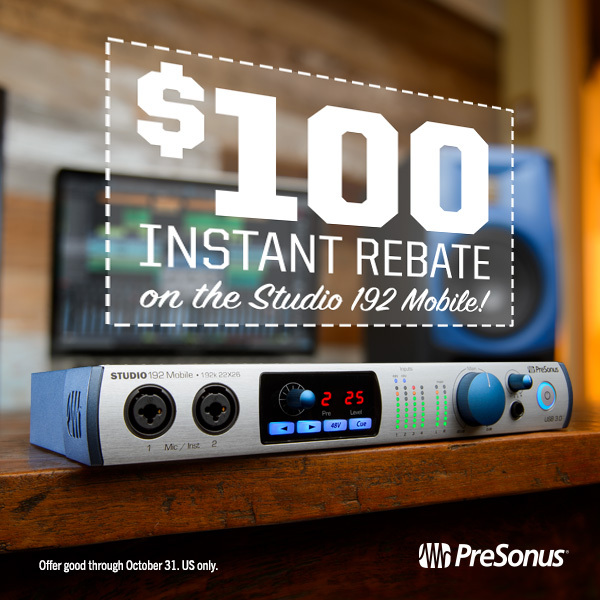 This offer is available only on shop.presonus.com from July 30 till July 31! Check it out while you still can. For Studio One Add-Ons, click HERE! For Notion Add-Ons, click HERE! Not a Notion user? Well Notion 5 is on sale for 50% off for the next two days as well!! Click here to learn more about this offer! The discount will show up during checkout. The Rocket Summer on taking the StudioLive RM32AI Mixer on tour! It’s been a long road since Bryce Avary first started putting out music under the name The Rocket Summer 16 years ago. With roots in pop and alt-rock, Avary showcases his talent by writing, producing and playing instruments on all 6 of his albums. The Rocket Summer is currently on tour for their newest record Zoetic which was released in February. We recently caught up with him to see how the tour was going and how the RM32AI Mixer was working for them. Avary’s assembled a killer live band to take his songs on the road! They’re using the RM32AI Mixer for their in ear monitoring system and mixing everything on their own. Hear more of Avary’s thoughts in the video below. The RM32AI is obviously a perfect fit for The Rocket Summer and it may be just what you’re missing. All summer long (and then some) select dealers in the USA are offering discounts of Kozmic proportions on StudioLive mixers – See more HERE! Follow The Rocket Summer on Instagram! Follow The Rocket Summer on Facebook! Follow The Rocket Summer on Twitter! Comments Off on The Rocket Summer on taking the StudioLive RM32AI Mixer on tour! 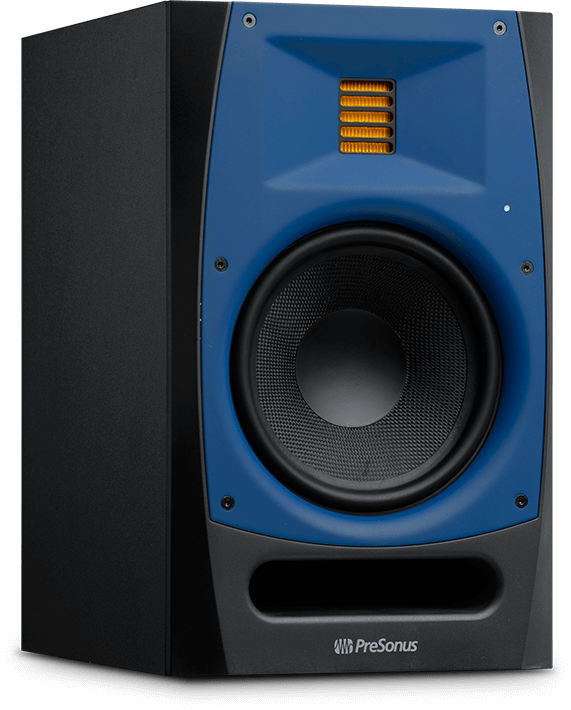 Check out the Mix Review of PreSonus R65 by clicking here! Grammy nominated sound engineer Ben Findlay has worked alongside artists such as Sting, Lionel Richie, Paul McCartney and with Peter Gabriel’s Real World Studio. Ben is currently on tour with Robert Plant. He recently got a hold of the ADL 700–and here’s what he had to say about it. FOCUS… is a California-based record producer signed to Dr. Dre’s Aftermath Entertainment who has produced tracks for Dr. Dre, Eminem, Snoop Dogg, Kendrick Lamar, Lil Wayne, Jadakiss, Christina Aguilera, Jennifer Lopez, Beyoncé Knowles, 50 Cent, Busta Rhymes, and more. He recently got a pair of Sceptres—and here’s what he has to say about them.